Trying to lower your grocery budget? 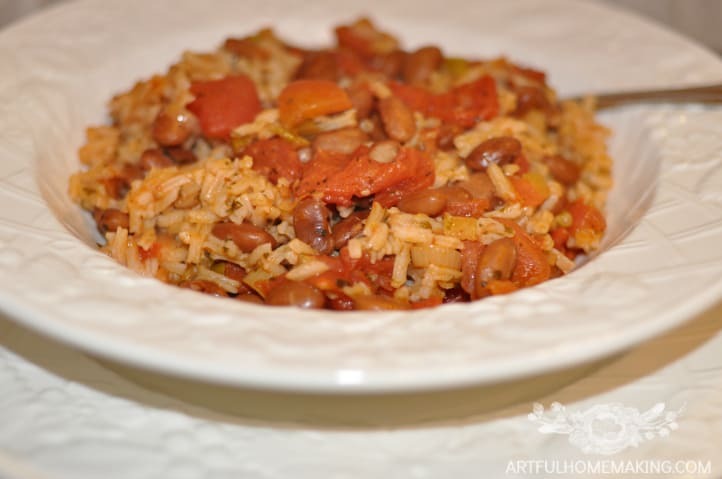 Try this simple recipe for Caribbean Beans and Rice! Wondering what I’ve been up to lately? Well, lots of things, but one of the main things is trying to drastically lower our grocery budget! 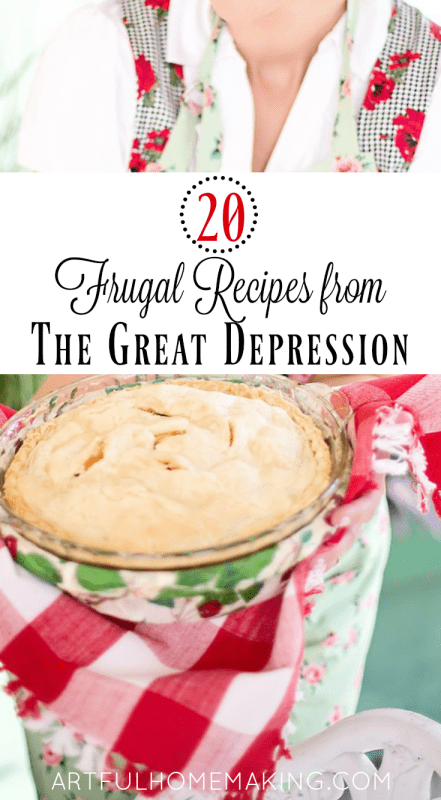 Recently, when we took a look at our finances and tried to find a way to cut back our expenses, the food budget was one of the main things we felt we had control over. With a bit of planning and creativity, we’ve been able to cut back our spending on food and save several hundred dollars each month. With seven mouths to feed (including three hungry teenagers), we go through a lot of food every month. Our grocery budget can easily get out-of-control without careful monitoring. Even though we started working on our grocery budget out of necessity, I actually think budgeting and saving money is fun. It’s like a game, trying to see how much money we can save. 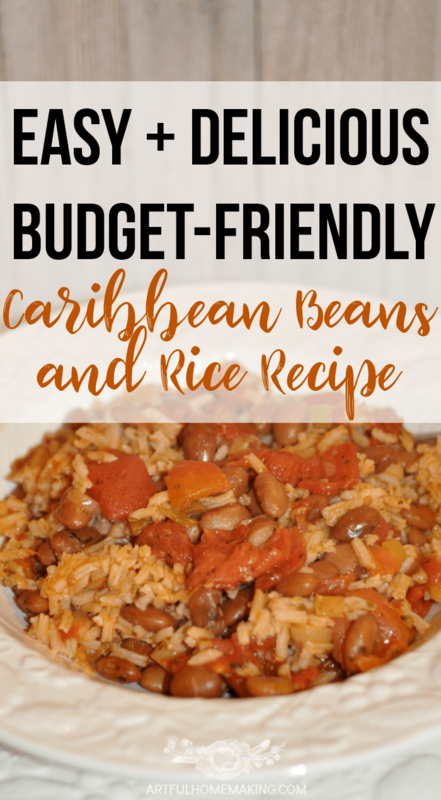 Since beans and rice are cheap (and we already had a large supply of them on hand), I’ve been trying to include more of these ingredients into our meal plan on a regular basis. This recipe is both delicious and frugal. You can add or eliminate ingredients depending on your preferences or what you have on hand. This is our favorite way to eat beans and rice! Rinse and soak pinto beans in water overnight. In the morning, drain the beans. Add the beans, 6 cups of water, and salt to a large pot (I just use the pot I soaked the beans in). Bring beans to a boil, then reduce heat to simmer. Simmer for about 40 minutes or until beans are tender. Drain beans and reserve the bean liquid. When the beans are almost finished cooking, add the oil, garlic, onions, and seasonings together in a skillet. Saute for about 5 minutes. 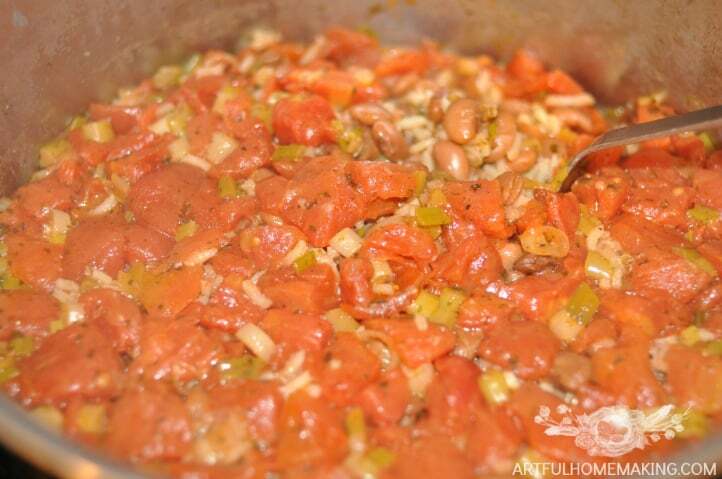 Add the sauteed vegetables, 2 cans of diced tomatoes (with the juices), and 2 cups of rice to the pot with the beans in it. Add 4 cups of the reserved bean liquid (add water if necessary to make about 4 cups). Bring to a boil, cover, and reduce heat to simmer. Cook 20-25 minutes without stirring so the rice will cook properly. That's it! Serve this with a green salad for a complete and delicious meal. As I mentioned above, this is a very versatile recipe. You can use kidney beans in place of the pinto beans. 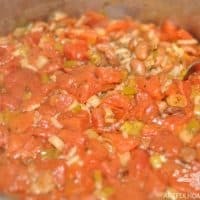 A fresh tomato can be substituted for the canned diced tomatoes, and you can use less garlic if you prefer. I use white basmati rice for this recipe. Serve it with a large salad for a delicious and satisfying meal. This makes about exactly enough for our family of 7, for one meal with no leftovers. With a side dish (such as salad), it could stretch a bit further to feed a few more. This looks delicious! I’ve pinned it for future reference. I’ve always loved red beans and rice, and this looks like a fun different approach to those. Thanks so much for the feature, Richella! This looks delicious! We too are working on our budget through groceries and meal planning. Most of our bills are fixed and this is the one area that has wiggle room. I too have boys (men) in my home who are sure they need meat with their meal, and can see that it would easily be suitable to many proteins. Thank you for sharing. Would love it if you share more simple and inexpensive meal ideas and/or ways you are saving money. As the nights get colder, this will be very filling. Love the detail and pictures look tasty. I love hearty meals like this especially during the cooler months. The Mr would probably want some meat/chicken but I’m ok with it as is. You could easily add some meat to this recipe. It’s pretty adaptable! Thank you so much for sharing, Joy. We are also trying to cut our grocery budget. 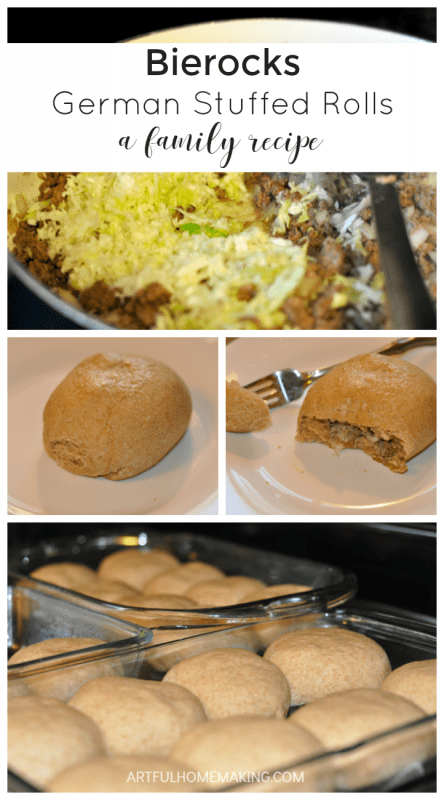 My husband is a stickler for wanting meat in his meals, but I’m going to try this as a side or for the kids.